LONG BEACH, Calif. – Dec. 19, 2017 – Epson®, the number-one selling projector brand worldwide, and its BrightLink® 697Ui and PowerLite® 685W displays were recently named winners of the 2017 Tech & Learning Awards of Excellence in the New Products category. Now in its 35th year, the Tech & Learning Awards of Excellence honors innovative applications that break new ground, as well as those that have added significant enhancements to proven education tools. Winners, including Epson, were chosen by a panel of Tech & Learning advisors who tested hundreds of entries. Both the BrightLink 697Ui ultra short-throw interactive presentation display and the PowerLite 685W widescreen ultra short-throw presentation displays deliver amazing images up to 100 inches. In addition to wireless networking support, both presentation displays enable easy content sharing via the Epson Multi-PC Projection with Moderator function1 and the Epson iProjection™ App for a variety of devices — including Chromebooks, PCs, and Mac® computers, as well as iOS and Android devices — making them ideal AV solutions for BYOD classrooms. Additionally, the long-life lamps last up to 10,000 hours in ECO Mode2. The interactive BrightLink 697Ui is equipped with pen and finger-touch interactivity, which turns almost any wall or existing whiteboard into a collaborative interactive workspace. In addition to offering encrypted enterprise-level security, the presentation display’s Split Screen3 feature allows teachers to simultaneously project two images (video or still) from different sources side-by-side up to 280-inches and the PC-free whiteboard sharing enables remote collaboration. Designed with educator input, Epson’s advanced interactive display and projector technologies make bright, collaborative learning environments a reality. Compatible with a wide range of devices and widely-used interactive software, Epson projectors make it easy for teachers to share content to engage students in the classroom. Epson’s unmatched technology, service and support ensure educators are confident that high quality, bright images and multimedia are available in the classroom every day. 1 Moderator feature is part of EasyMP Multi-PC Projection software. 2 ECO Mode is up to 10,000 hours. Normal Mode is up to 5,000 hours. Lamp life will vary depending upon mode selected, environmental conditions and usage. Lamp brightness decreases over time. 3Consult your user manual for input combinations. 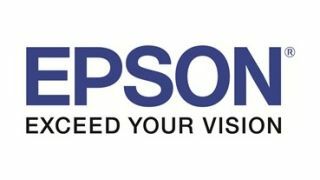 Note: Epson and PowerLite are registered trademarks, EPSON Exceed Your Vision is a registered logomark and Epson iProjection is a trademark of Seiko Epson Corporation. BrightLink and Brighter Futures are trademarks of Epson America, Inc. Mac is a trademark of Apple Inc., registered in the U.S. and other countries. Google is a registered trademark and Android and Chromebook are trademarks of Google Inc. All other product names are trademarks and/or registered trademarks of their respective companies. Epson disclaims any and all rights in these marks.